A few days ago Siouxsie Wiles directed her readers to a website illustrating what scientists look like through hosting photographs supplied by scientists of themselves. If you haven’t already, check it out. That website reminded me of another website showing the results of a project where children drew and wrote what they thought scientists were like before and after visiting Fermilab. There’s a description of the project on the website giving more detail. Try browsing it, it’s fun. 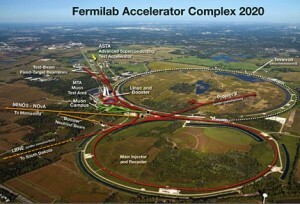 The description says that the Beauty and Charm programme now has about 2000 students visit Fermilab each year. There’s more on the Fermilab Science Education Office web page. I’d like to think that open days at local universities and school visits have a similar effect. Short post tonight as I’m still holed up reading! You should also check out the secret life of scientists (and engineers) by PBS. It’s an awesome project where they interview scientists about their science and hobbies in short videos.